Come join us on Tuesdays to hear what the Bible says about some of the questions we ask ourselves in life (often with no good answers). Bible studies will be followed by a delicious, home-cooked dinner and then some fun games together! Contact Nayoung Kim at nkim10@umd.edu for more info. 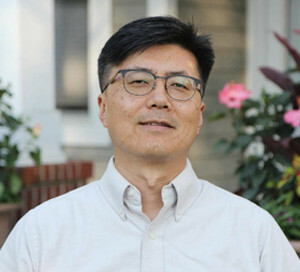 Pastor James Lee is an ordained minister and also a rehabilitation doctor by training who has served as a medical missionary in Timor-Leste (South East Asia) and in the Republic of Georgia (former Soviet Union). All are welcome to join us, whether you’re looking for a spiritual home away from home or are wondering what this Christianity thing is all about. Despite our name, you don’t have to be Asian or Baptist to join us :). All you need is a curiosity about the Bible and a desire to know God in a personal way. Copyright © 2019 ABSK Christian Fellowship at UMD. Powered by WordPress. Theme: Spacious by ThemeGrill.